It isn't likely that you'd make a small batch of soup from scratch just for yourself. You'd probably whip up a large batch and have plenty left over to store in your freezer. You have a few options when it comes to thawing frozen soup safely. Each method works with soups frozen in freezer bags or in containers with lids. Just remember that refreezing after thawing isn't recommended with some defrosting methods. Put the frozen soup package or container in a larger container to catch any spills. Place the container in the refrigerator the day before you plan to eat it. Allow the frozen soup to defrost completely, which may occur overnight or require an entire day. 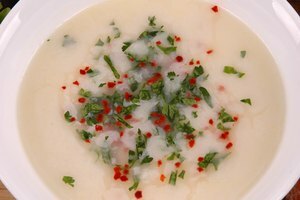 Cook the soup within one to two days after it is thawed. You may refreeze it, though that may affect the taste and texture. 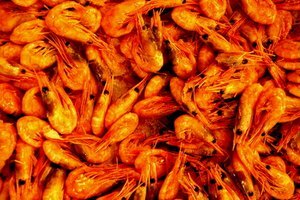 Place a large container in your kitchen sink. Choose one that's big enough to hold the container of soup but small enough to fit comfortably under your faucet. Fill the container with cold water. As it's filling, put the entire container of soup into the water -- the soup must be in a bag or a leak-proof container to utilize this method. The frozen soup should be completely submerged in the water. Once the container is full of water, adjust the faucet so cold water is dripping into the container in a slow steady stream, not a strong rush. Keep the cold water running until the soup is completely thawed, which may take as long as an hour per pound of frozen food, according to the USDA Food Safety and Inspection Service. Cook the soup immediately, because it cannot be refrozen once it's completely defrosted using the running water method. Place the frozen soup package in a microwave-safe bowl, cutting a few small slits on the top for ventilation. If it's frozen in a container with a lid, make sure the container is microwave-safe and remove the lid. 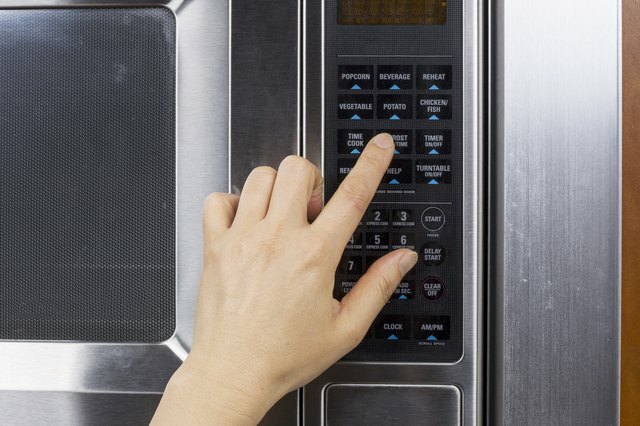 Set your microwave to a "defrost" or "low" setting. Defrost in the microwave for a minute or two at a time, depending on the amount of soup. Microwaving it for too long can burn the soup. Continue defrosting the frozen soup in small intervals, rotating the package or stirring it each time the microwave stops. Use caution when handling the hot soup container. Immediately heat the thawed soup to the proper temperature in the microwave or in a pot on the stovetop. You must heat and consume soup thawed in the microwave immediately. 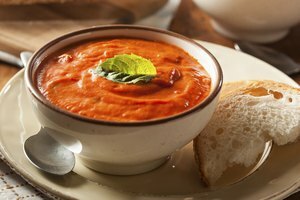 Check cooked soup with a food temperature probe before serving to ensure that it has reached a minimum safe temperature of 165 degrees Fahrenheit. Stir the soup frequently while it's cooking and check the temperature in several areas of the batch.